Complete Kitchen, Bathroom & Flooring Remodeling. D.B. Custom Marble & Granite, Inc. is a local family owned Washington DC, MD and Northern VA commercial and residential designer, fabricator and installer of granite, marble, ceramic tile, marble tile, quartz, and slate. Located in Clinton. 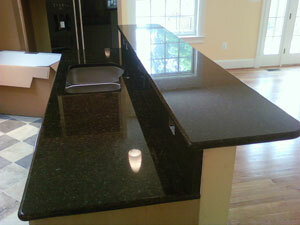 We offer countertop and floor design, fabrication and installation services to these Prince Georges County MD areas: PG County, Accokeek, Adelphi, Beltsville, Berwyn Heights, Bladensburg MD, Bowie, Brandywine, Brentwood MD, Camp Springs, Capitol Heights, Cheverly, Chillum, Clinton, College Park, District Heights, Forestville, Fort Washington MD, Glenn Dale, Greenbelt, Hyattsville, Kettering, Landover, Langley Park, Lanham, Largo, Laurel, Mitchellville, Mount Rainier, New Carrollton, Oxon Hill, Palmer Park, Riverdale, Seabrook, Seat Pleasant, Silver Spring, Suitland, Takoma Park, Temple Hills and Upper Marlboro MD. Click Here for us to come to your home or office to receive a FREE quotation on granite or marble countertops or flooring. D B Custom also provides Cambria, Travertine, Daltile, Caesarstone, Silestone for all your remodeling of kitchens, baths, fire place surround, bars or any room that needs new flooring or counter tops. DB Custom is now happy to announce that not only will we design and install your countertop for your kitchen, bathroom or flooring project but we will now custom design your complete kitchen, bath or flooring project including cabinets, countertop, sinks, faucets and flooring. For a FREE in home estimate, Click Here. D.B. Custom offers the following design, fabrication and installation services to the Washington DC, Maryland, and Northern VA areas including Prince Georges County and Montgomery County and Fairfax County. on granite or marble countertops or flooring. Granite rocks are igneous rocks which are the hardest of all building stones with a very close grain, making it almost impervious to stain and uniquely applicable for any interior use, and if polished, is ideal for countertops and flooring applications. Do you offer other types of finished edges? D B Custom offers "eased and polished" straight edge profile as well as other edge profiles. 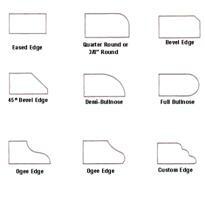 Our other available edge profiles are shown here. 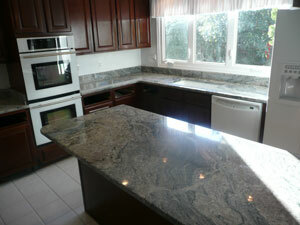 Are there special cleaning requirements for granite? For regular cleaning, we recommend a specially formulated stone cleaner since everyday household cleaners could lessen the effectiveness of the sealer which has been applied. Spills left on the surfaces for an extended period can leave some residual staining, even when sealed properly. Most stains usually dissipate over time on their own, but if you want immediate stain removal, we have specialty stain-lifting poultice powders. 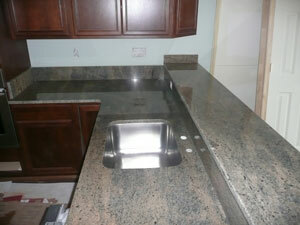 Maintenance of granite surfaces is easy, and you should consider caring for your investment properly! D B Custom offers "eased and polished" straight edge profile as well as other edge profiles. To see our other available edge profiles Click Here. DO clean up spills quickly to minimize damage to your stone. DO use place mats under china, ceramics, & silver that can scratch your stone's surface. DO use coasters under glasses, especially ones containing alcohol or citrus juices. DO clean surfaces regularly with a Granite & Marble Kitchen Countertop Cleaner. DON'T use acid cleaners such as bathroom cleaners or grout cleaners. floors, countertops, vanities, kitchens, or bathrooms, Click Here for a FREE estimate. When your house interior is finalized, you can think of a new furniture to order online or a wardrobe to refresh. This summer season is very rich in brave solutions, still when it comes to footwear choice, you should pick something eye-catching yet practical and durable, like Rieker shoes for yourself and your family members. Shop for this footwear online to have a very convenient delivery while you're renovating your house. If you are tired of tidying up your cluttered garage, this problem is easy to solve. The solution is called self storage Barrie. You can keep there not only seasonal items, but also any unnecessary furniture, equipment, books, old children's clothes and toys, etc. Using the services of self storage, you no longer have to worry about the safety of your things. Every self storage facility is equipped with smoke detectors, fire extinguishing system, video surveillance, security. We are interested not only in the companys income growth, but continuous trust from our new and returning customers. We constantly receive testimonials from our clients who are very happy with the quality of our products including Cambria, slate, travertine, daltile, Caesarstone, Silestone as well as marble and ceramic tiles used widely for their home renovation projects. We are very glad to hear our products turn to be useful for improving our clients lives. We provide durable construction materials and guarantee fast and effective design solutions that can satisfy any budget be it a residential planned renovation or a big project for a company. We pride ourselves at assisting local communities and businesses like tattoo cover ups studio in downtown Toronto with its premises design and projects implementation. You can visit their website or drop by their offices to see the results. We are ready to discuss your renovation or home improvement project. Residential and commercial garage doors should perform their best for your security and comfort. Local garage door manufacturers offer various custom overhead doors with proper installation and further warranty maintenance. Such garage doors resist hard weather conditions and run well if you follow all expert recommendations to prolong their lifespan. If you consider replacement windows project, Ottawa windows replacement companies advise discussing your options firstly with the specialist during the free in-house assessment. Some of your windows can simply need repairing, others can be scheduled for windows replacement in Ottawa. Such a decision seems better, does't it? So, do not delay your old windows replacement. There are plenty of mortgages Canada can offer. Mortgages as a financial instrument are popular as a way to get big and important purchases as home easily and instantly. You can use necessary things now but pay after, step by step. Many reliable financial companies are present in the market. It's better to research about them and compare services and obligations before applying. D.B. 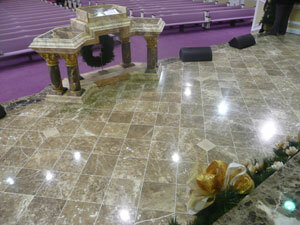 Custom Marble & Granite Inc.